August 12, 2018 – Stardom: Jungle Kyona vs. Utami Hayashishita ended in a time limit draw. August 18, 2018 – Stardom: Utami Hayashishita defeated Tam Nakano. August 19, 2018 – Stardom: Utami Hayashishita defeated Natsuko Tora by referee decision. August 26, 2018 – Stardom Afternoon Show: Kelly Klein, Kimber Lee & Rachael Ellering defeated ShiKid (Shiki Shibusawa & Starlight Kid) & Utami Hayashishita. August 26, 2018 – Stardom Evening Show: Momo Watanabe & Utami Hayashishita defeated Hanan & Shiki Shibusawa and Kimber Lee & Rachael Ellering and Starlight Kid & Tam Nakano in a 4-way tag team match. September 1, 2018 – Stardom: Kagestu defeated Utami Hayashishita. September 8, 2018 – Stardom: Utami Hayashishita defeated Kimber Lee. September 9, 2018 – Stardom: Jungle Kyona vs. Utami Hayashishita ended in a time limit draw. September 15, 2018 – Stardom: Mayu Iwatani, Saki Kashima & Utami Hayashishita defeated Queen’s Quest (AZM, Konami & Momo Watanabe). September 16, 2018 – Stardom: Rachel Ellering vs. Utami Hayashishita ended in a time limit draw. September 24, 2018 – Stardom: Utami Hayashishita defeated Konami. Mayu Iwatani defeated Utami Hayashishita to win the 5 star grand prix 2018. September 30, 2018 – Stardom Afternoon Show: Utami Hayashishita defeated Jamie Hayter. September 30, 2018 – Evening Show: Momo Watanabe & Utami Hayashishita defeated Jamie Hayter & Kimber Lee. October 13, 2018 – Stardom: Momo Watanabe & Utami Hayashishita defeated JAN (Kaori Yoneyama & Ruaka). October 14, 2018 – Stardom: Mayu Iwatani & Saki Kashima defeated Momo Watanabe & Utami Hayashishita. October 20, 2018 – Stardom Afternoon Show: Momo Watanabe & Utami Hayashishita defeated Natsumi & Starlight Kid. October 20, 2018 – Stardom Evening Show: Konami & Utami Hayashishita vs. Queen’s Quest (AZM & Momo Watanabe) ended in a time limit draw. October 23, 2018 – Stardom: Queen’s Quest (AZM, Bea Priestley, Chardonnay & Konami) & Utami Hayashishita defeated Natsumi, Saki Kashima, ShiKid (Shiki Shibusawa & Starlight Kid) & Tam Nakano in a tag team elimination match. October 30, 2018 – Stardom: Oedo Tai (Hazuki, Kagetsu, Martina & Natsu Sumire) defeated Queen’s Quest (Bea Priestley, Chardonnay & Momo Watanabe) & Utami Hayashishita. October 30, 2018 – Stardom: Black Fuzzy Peach (Momo Watanabe), Masked Wan-chan (Konami), Mini IOTICA (AZM) & Red Snake (Utami Hayashishita) defeated Fancy Maruyama (Martina), Natsuki Urabe (Natsu Sumire), Reo Hazuki & Yukari Ishino. November 3, 2018 – Stardom: Momo Watanabe & Utami Hayashishita defeated Hanan & Leo Onozaki. November 4, 2018 – Stardom: Momo Watanabe & Utami Hayashishita defeated Hana Kimura & Mary Apache. Momo Watanabe & Utami Hayashishita defeated Queen’s Quest (Bea Priestley & Chardonnay) to win the Goddesses Of Stardom 2018. November 10, 2018 – Stardom: Queen’s Quest (Bea Priestley, Chardonnay & Momo Watanabe) & Utami Hayashishita defeated JAN (Jungle Kyona, Kaori Yoneyama, Natsuko Tora & Ruaka). November 23, 2018 – Stardom: Momo Watanabe & Utami Hayashishita defeated JAN (Jungle Kyona & Natsuko Tora) to win the Goddesses Of Stardom titles. November 30, 2018 – Stardom: Utami Hayashishita defeated Chardonnay. December 2, 2018 – Stardom: Utami Hayashishita defeated Hina and Natsumi and Rina to win the Rookie Of Gauntlet match. December 7, 2018 – Stardom: Queen’s Quest (Momo Watanabe & Utami Hayashishita) defeated JAN (Kaori Yoneyama & Natsuko Tora). December 15, 2018 – Stardom: Mayu Iwatani, Saki Kashima & Tam Nakano defeated Queen’s Quest (Konami, Momo Watanabe & Utami Hayashishita) to retain the Artist Of Stardom titles. December 16, 2018 – Stardom: Queen’s Quest (AZM, Konami & Utami Hayashishita) defeated Mayu Iwatani, Saki Kashima & Starlight Kid. December 24, 2018 – Stardom: Queen’s Quest (Momo Watanabe & Utami Hayashishita) defeated Saki Kashima & Tam Nakano to retain the Goddesses Of Stardom titles. January 2, 2019 – Stardom: Queen’s Quest (AZM, Bea Priestley, Konami, Momo Watanabe & Utami Hayashishita) defeated Arisa Hoshiki, Natsumi, Saki Kashima, Starlight Kid & Tam Nakano in a tag team elimination match. January 3, 2019 – Stardom: Utami Hayashishita defeated Starlight Kid to win the Future Of Stardom title. Utami Hayashishita was also in the battle royal won by Starlight Kid. January 5, 2019 – Stardom Afternoon Show: Queen’s Quest (Bea Priestley, Utami Hayashishita & Viper) defeated Hana Kimura, Mary Apache & Sadie Gibbs in the 1st round. January 5, 2019 – Stardom Evening Show: Queen’s Quest (Bea Priestley, Utami Hayashishita & Viper) defeated Oedo Tai (Hazuki, Kagetsu & Natsu Sumire) in the semi-finals. Queen’s Quest (Bea Priestley, Utami Hayashishita & Viper) defeated Arisa Hoshiki, Saki Kashima & Tam Nakano to win the tournament. January 6, 2019 – Stardom: Queen’s Quest (Bea Priestley, Konami, Momo Watanabe & Utami Hayashishita) defeated Alex Gracia, Natsumi, Saki Kashima & Tam Nakano. 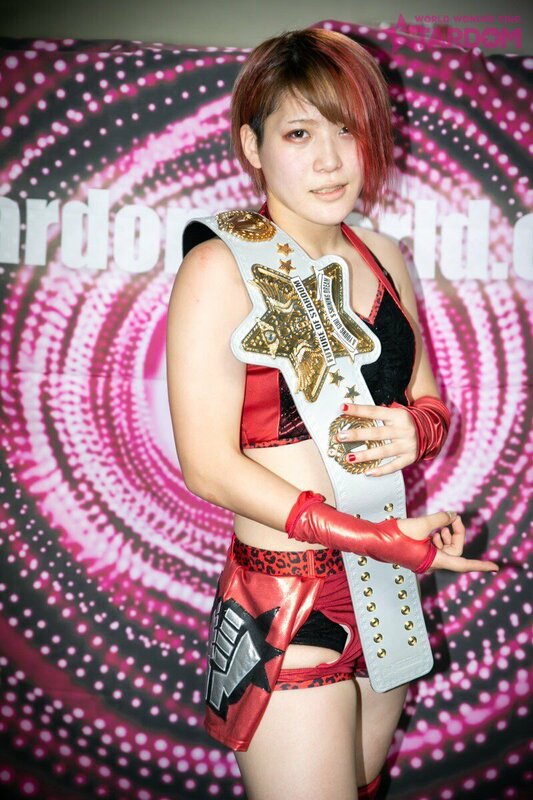 January 14, 2019 – Stardom 8th Anniversary Show: Utami Hayashishita defeated Viper to win the EVE International Title and the SWA Undisputed World Women’s Title. 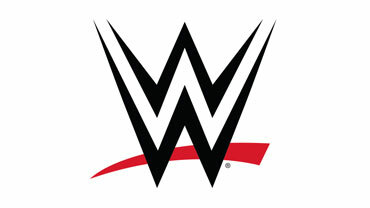 @utami0914 Hope the hand is feeling better champ!!!! It's always nice to take some time away enjoy yourself utami you could definitely use a break. @we_are_stardom @stardom_momo @BeaPriestley @viperpiperniven @azumikan1411 @utami0914 @onzk_Leo @chocobi1228hina Leo looks happy. Hina looks in shock. Please start pushing AZM as she is too good to be wrestling below the upper midcard. I would love a feud between AZM and Hazuki or Jungle Kyona.